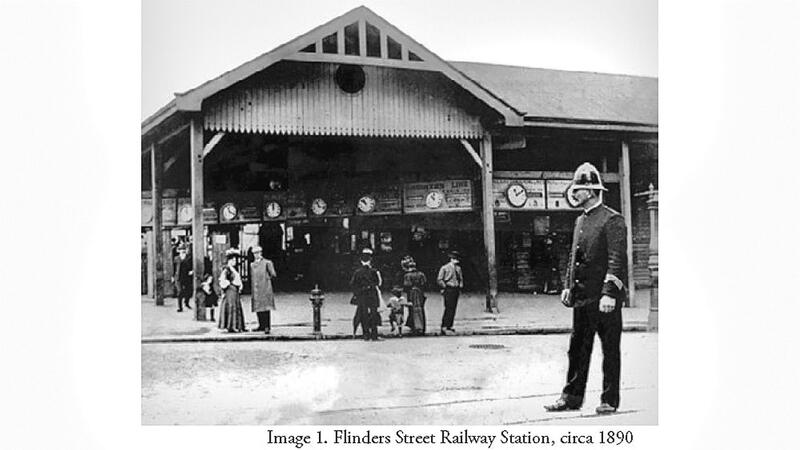 Policeman stands outside Flinders Street Station c1890. THE Reporter of 11 July 1889 – with a banner proclaiming circulation in ‘Box Hill, Surrey Hills, Canterbury, Balwyn, Camberwell, Doncaster, Burwood, Blackburn, Mitcham and Ringwood’ and cost one penny – contained a delightful anecdote. 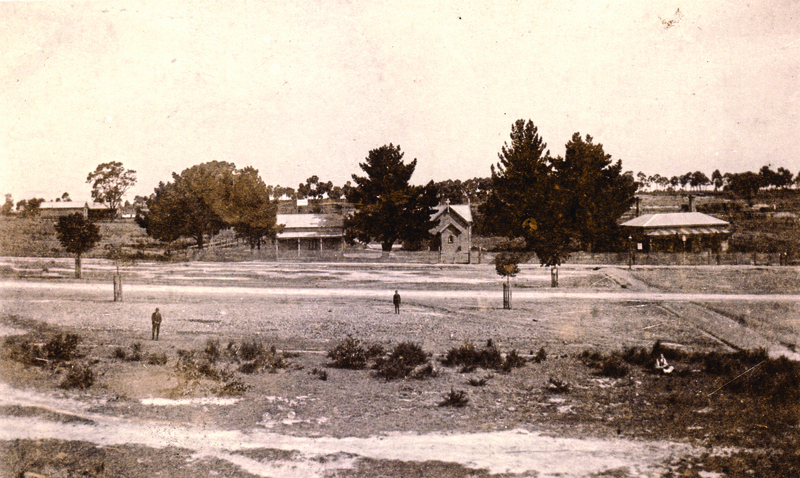 Mitcham Railway Station with teacher’s residence, St. John’s Church and the first Police Station. 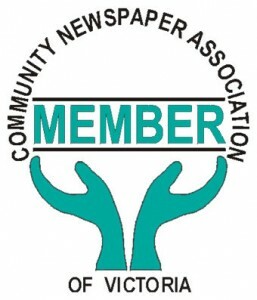 A FIT SUBJECT FOR YARRA BEND. About two o’clock on Sunday morning a man, whose name has not transpired, called at the police station, Mitcham, and aroused Constable Gordon out of a comfortable sleep. When the constable opened the door, the man asked him to direct him to the station master’s residence, as he wished to get a parcel that had come for him by the last train. Constable Gordon tried to reason with the man, and told him that goods were not delivered on Sundays, and that it would be a stupid thing for him to wake up the station master at that unreasonable hour. The man would not take no for an answer, and at last Constable Gordon directed him to the station. He pilotted [sic] his way to the station master’s residence, and after knocking for some time he succeeded in attracting the attention of Mr. Leitch, who thought that something serious must have occurred down the line. The man accosted Mr. Leitch in an offensive manner, and demanded his parcel, which the station master very properly refused to give him, telling him to call for it at the proper time. He then told Mr. Leitch that he could get his parcels at any time from country station masters, and that he had a lot of influence at his command, which he would use in getting Mr. Leitch discharged if he did not forthwith deliver him his parcel. This had the effect of arousing the indignation of Mr. Leitch, who threatened to lay hands on the fellow if he did not at once clear out. When he saw the turn things were taking, and believing “discretion to be the better part of valor,” he at once beat a hasty retreat, and in doing so forgot to apologise to Mr. Leitch for his indiscreet and impudent act. Finding the good Constable Gordon intriguing, I sought more about him on Trove – apparently Mitcham was an unruly place prior to Mounted Constable William James Gordon’s arrival when the station opened in 1888. He was the first member to have charge of the newly-formed station. Clearly a much loved figure, following his decision to take a promotion and move to Yarra Glen in March 1894, the community turned out to honour him. The evening, interspersed with musical interludes, ended with the playing of the National Anthem; the room was then cleared and “dancing indulged in to a very late hour”. The Reporter’s article of 27 April 1894, headed ‘Presentation to Constable Gordon’, described the community assembled in Mitcham’s Recreation Hall to present Gordon “with an expression of favor upon his removal from among their midst”. Raising laughter from the audience, the chairman said his only objection to the constable was that whenever they met, he invariably “swore”. However, he’d seen him conduct cases in the court and, “unlike some members of the force, never exceeded his duty in trying to ‘pile on the agony’, but rather inclined to leniency. He took it that that was one of the highest praises which could be given a man”. To loud applause the community presented Gordon with a “handsome tea and coffee service, and hoped he would be long spared to labor in his new sphere”. Yarra Bend Asylum opened 1848. First permanent Victorian institution to treat mentally ill.
Willsmere (Kew) Lunatic Asylum operated 1871–1988; one of the largest asylums ever built in Australia. (Brit. informal) ‘pile on the agony’, to exaggerate one’s distress for sympathy or greater effect. ‘long spared to labor’ appears in Christian literature from the past. Raine Biancalt has a Diploma of Arts (Professional Writing & Editing) and a background in both government and corporate worlds. She enjoys art, history, writing and old movies.